To begin your celebration of St. Patrick’s Day, share the story of St. Patrick. Below is a short summary of this patron saint of Ireland. Ireland’s most famous holiday celebrates the life of an Englishman. Saint Patrick was born in Western Britain in the early 5th century. When he was sixteen, he was kidnapped from his village by a band of pirates and was taken to Ireland. There, he was sold into slavery and he worked as a shepherd. Patrick was lonely in Ireland because their customs and religion were so different than what he was used to. Most of the Irish worshipped the sun and the moon. Patrick heard a voice one day that told him the time was right for him to try to escape. He ran away from his master and fled on a boat to France. After spending several years in France, he returned home to Britain. However, he soon had a dream that the Irish people wanted him to return to Ireland. Patrick first studied to become a priest and then a bishop. Then, he chose to return to Ireland to bring Christianity to the Irish. He started over 300 churches and became St. Patrick, the patron saint of Ireland. To practice sequencing skills, give the students the following sentences and have them rearrange them in order to retell the story of Saint Patrick. Then, have them write a title for their paragraph. He first became a priest, and then a bishop. Patrick returned to Ireland to bring Christianity to the Irish. Saint Patrick was born in Britain. But he was able to escape to France. Then he returned to his family in Britain. At sixteen, he was kidnapped from his home in Britain and taken to Ireland. Have students make their own Irish flags. The flag is simply a rectangle divided evenly into three sections by vertical lines. They should color the first section green, the middle section white, and the remaining section is orange. They can staple their flags onto a straw to make a flag. 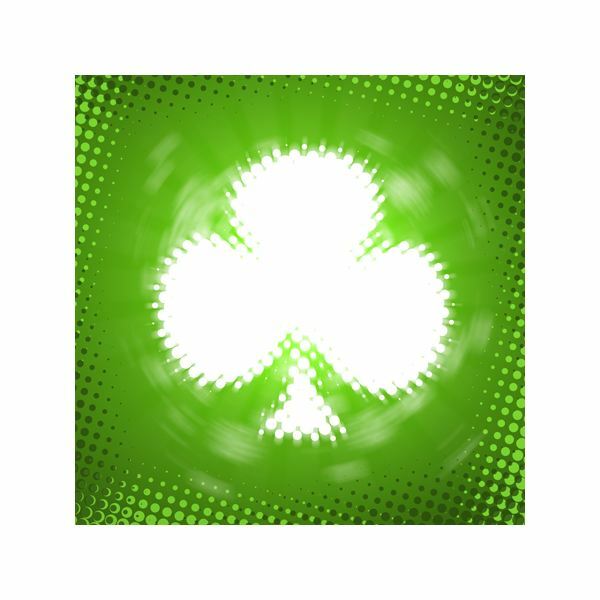 To make a fun shamrock, have students begin with a piece of white cardstock. They can randomly drizzle white school glue on the paper. Let it dry for a few days, and then when you are ready to paint, dip the paper in water. If you have trays available for each student, this may be useful in helping to keep desks dry. If not, spread newspaper. Using watercolor paints, paint the entire page, allowing the colors to mix. Once the paper dries, download and have the students can trace the shamrock shape on the back of the paper and cut it out. Have them notice how everyone’s mixture of colors is different.